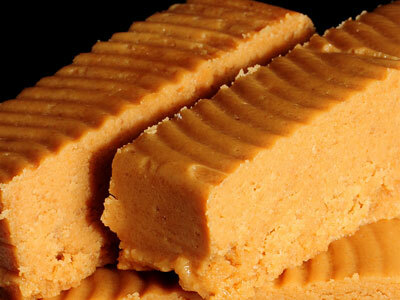 The history of nougat Jijona or soft nougat. 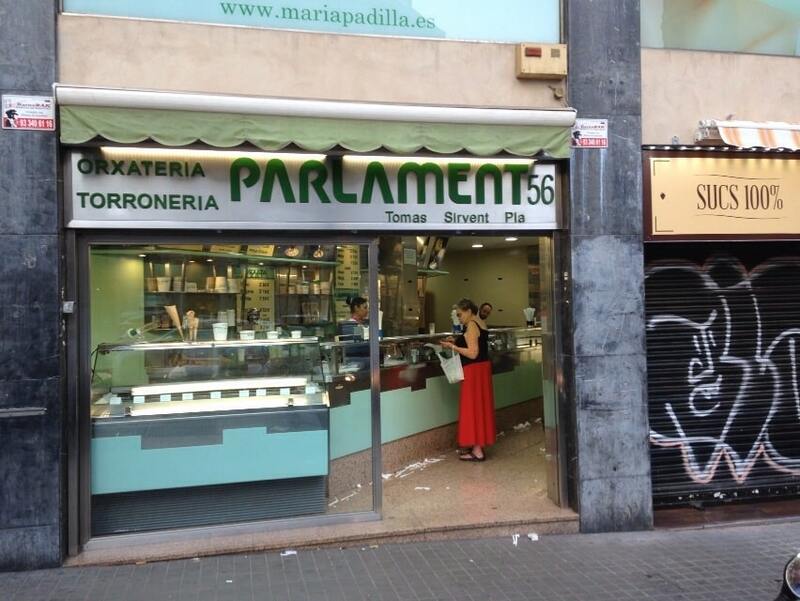 How can we make a real artisan nougat Jijona? Nougat Jijona, or also known as soft nougat, is one of the best known and popular Christmas desserts. In this article you will get to discover the ingredients and the steps needed to produce it in your own kitchen; also discover its origins, while its nutritional value and benefits that can have this spectacular nougat. Jijona nougat, is one of the most typical desserts of the holidays; nougat is famous, popular and classic, and chaired this set of Christmas sweets is our beloved nougat Jijona, a traditional sweet that every year at Christmas comes from the shops and workshops of artisans nougat, and becomes a Christmas recipes popularly known and more traditional, like the roulade of Kings on their respective day. And now you want to know how you could prepare or cook a nice, exquisite and delicious nougat Jijona? Okay, but before starting the recipe nougat Jijona, we want to know a little more about the origin and curiosities of this wonderful and exquisite Christmas sweet. 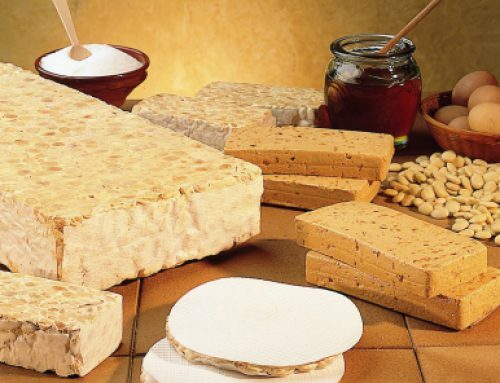 The sweet known as Jijona nougat or nougat soft nougat is basically made with ground almonds, honey and egg white (which gives the characteristic of being softer than the rest of nougat). 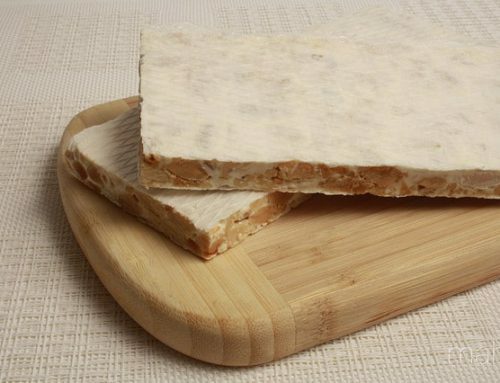 Jijona nougat is popular (thanks to the origin of their manufacture) in the province of Alicante, but now its popularity beyond the province, and reaches across the state. It is a Christmas dessert that is actually very characteristic, as it is characterized by having ground almond mixture with honey, hence its characteristic consistency and very pasty. Concerning the origin of nougat, historical data have been found that would show that the nougat was in the village of Sexona (current Jijona) in the sixteenth century. 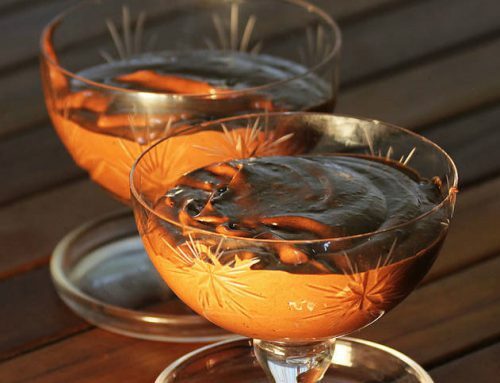 In fact, it was the Arabs who introduced this popular sweet, while his recipe with the respective ingredients. On the other hand, it is believed that already in the Greek era, a paste composed of nuts (almonds mainly) and honey as a basis prepared. That product, which, in theory served the Greek athletes as energy to participate in the Olympics. 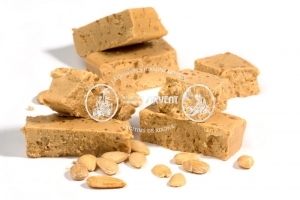 Nevertheless, there are different versions about the origin of soft nougat or nougat Jijona. Some sources claim that the nougat came after a proposed Arab competition in which it was looking for a very nutritious food that is kept in good condition for a long stay or travel, while they were able to easily transport their armies without danger of poisoning. 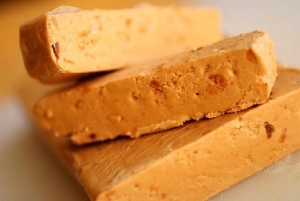 Other sources, however, claim that the nougat emerged through the development by a craftsman of Barcelona, surnamed ‘Turro’, which made food with abundant raw materials in the region (almonds and honey) would be an indispensable resource in times of scarcity and famine, this version, the supposed origin of nougat Jijona or soft, is the least supported. 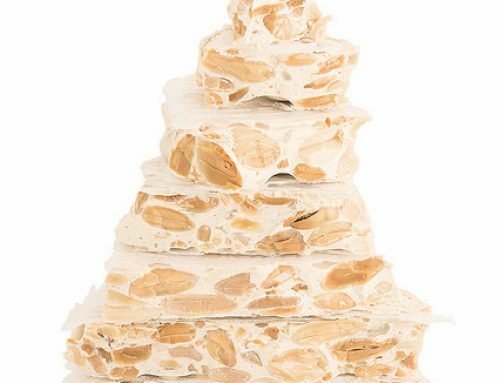 Horchateria Sirvent de Barcelona We want you to know the recipe of the nougat Jijona, a well-known nougat, and for many, one of the richest nougat we can find in the market, in short, is the nougat Jijona true classic of the classic nougat nougat. That is why, it is not necessary to enjoy Christmas is a delicacy, and less if we did ourselves in our own kitchen; if you and what you are imagining, do not expect more and not miss this recipe that we present from Horchateria Sirvent de Barcelona. It goes without saying that if you are very fond of this nougat nougat Jijona going to enjoy very much. Recipe Jijona nougat is simple and patiently goes spectacularly rich. And with that, we start with the recipe nougat Jijona, and as always start with a good list of ingredients for this delicious nougat. First, we put the honey in a small saucepan over low heat. At the moment it breaks the boil, we espumarlo, and then add the fine sugar and let it cook over a low heat. It is very important to continuously stir until a kind of syrup that looks at first sight very thick. Meanwhile, off the heat in a saucepan, add the almonds, walnuts, hazelnuts, pine nuts and chopped coriander powder and half of the sugar cubes. We extend it on the marble dusted with flour, and finally let stand about eight hours. Trincharemos then very finely with the rest of the sugar cubes, leaving like flour. Will fill with this mixture, the mold / s lined with parchment paper and sprinkle with cinnamon at this time, covering it with paper and pressing it. Finally let stand a couple or three days, that way he will sit well and catch more compact structure. 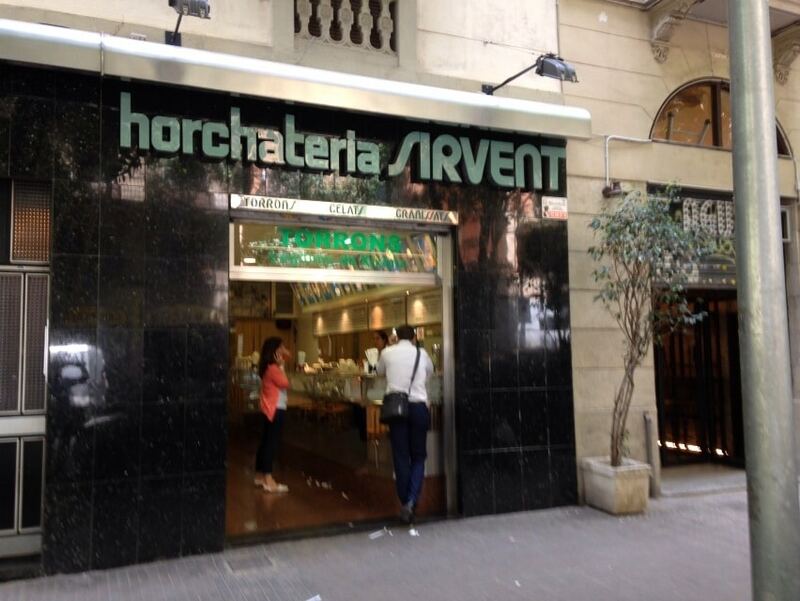 If you follow this recipe you’re going to be able to enjoy one of the best receptas Jijona nougat, this same recipe but a little big, it is that we follow in the Horchateria Sirvent Barcelona. Now you just need to try this recipe nougat Jijona at home and wonder you leave so that you can all enjoy a good nougat Jijona. Learn about benefits and properties of nougat !! To complete lack add a very important step: If you do throughout the entire recipe … send a photo of your nougat Jijona by our social networks (Twitter or Facebook ), and in this way you will encourage more people to try this wonderful and tasty recipe nougat Jijona.